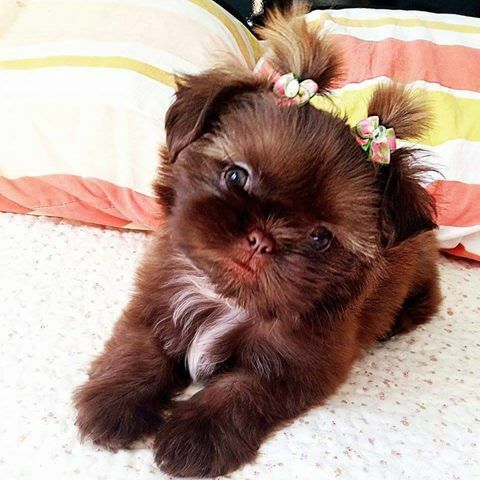 Brown tones are common in Shih Tzu coats, and these can range from lighter shades to darker tones. 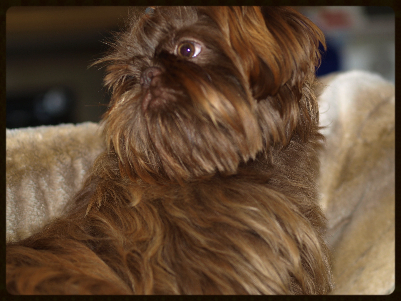 However, the majority of Shih Tzus that appear to be brown are in fact officially considered to be liver colored. This is because skin pigmentation is a factor in assessing a Shih Tzu's color, and it is most often the case that a Shih Tzu's nose, lips, eye rims and paw pads are actually liver rather than brown. 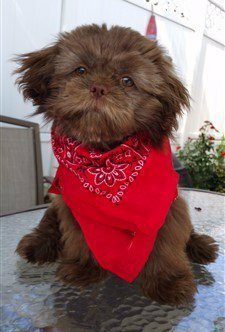 In fact, there is no official solid brown color code for Shih Tzus, even though lots of Shih Tzus, such as those pictures below, look brown! 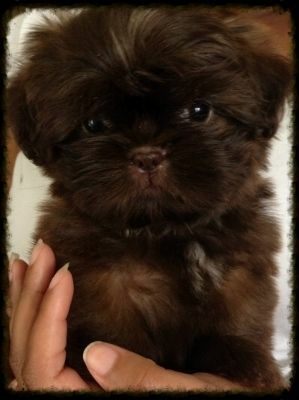 If the coat is brown and white, and if the nose is brown, the Shih Tzu is considered liver and white. 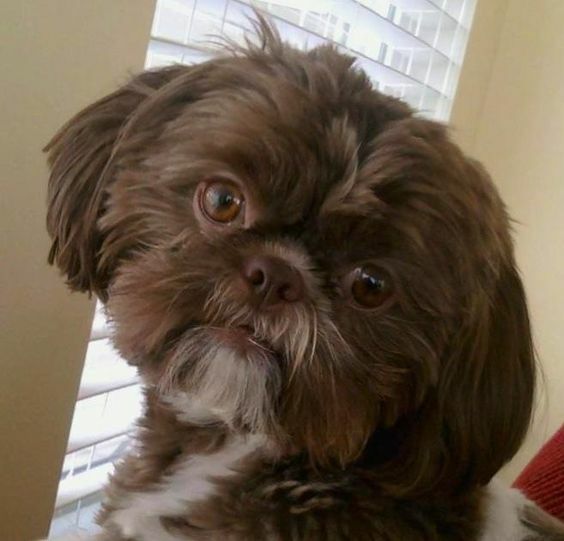 However, if a brown and white Shih Tzu has a black nose, it may in fact be considered a red/white, brindle/white, gold/white or other color combination.